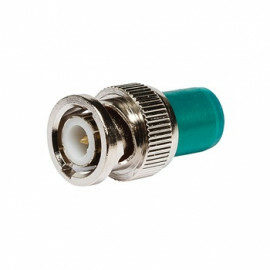 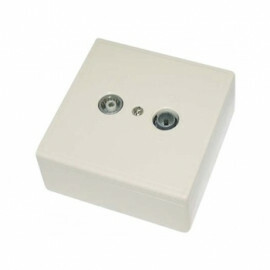 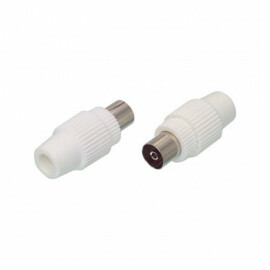 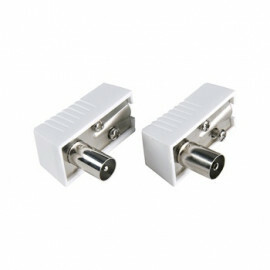 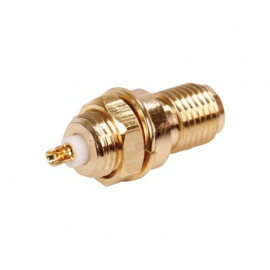 Multimedia type wallbox - TV/FM/SAT/RJ45/RJ11. 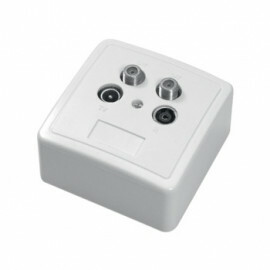 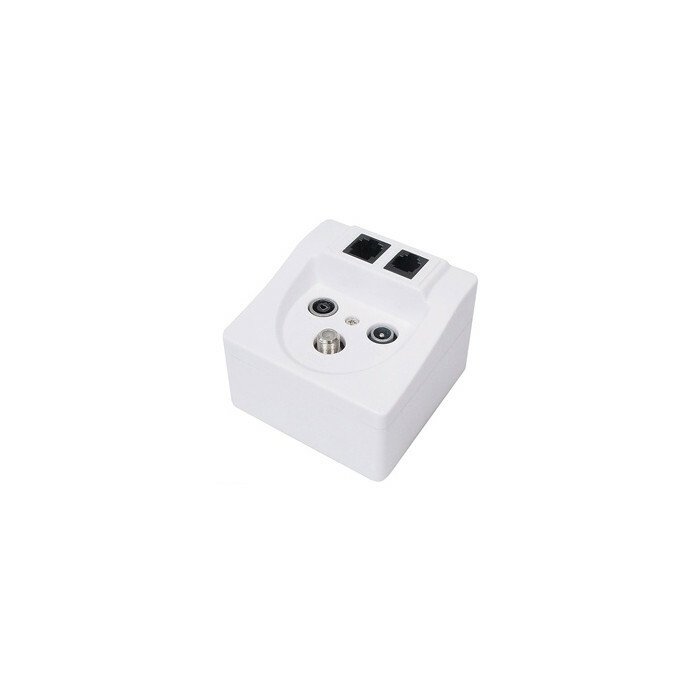 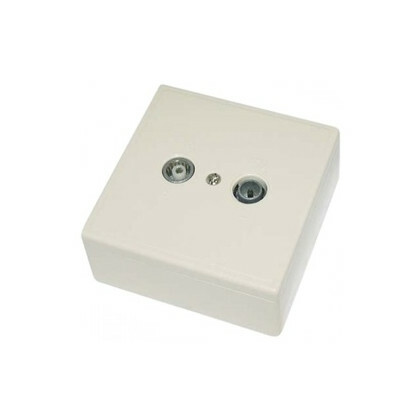 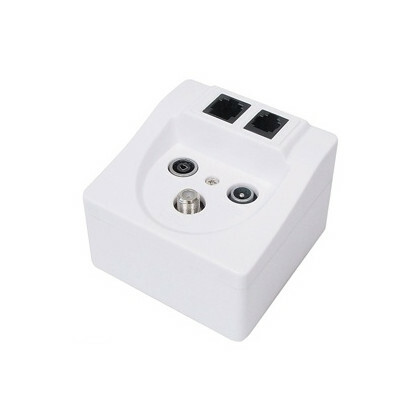 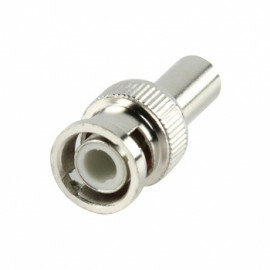 Multimedia wall outlet socket to connect Radio, TV, Satellite receiver, RJ45 (W8/4), RJ11 (W6/4). 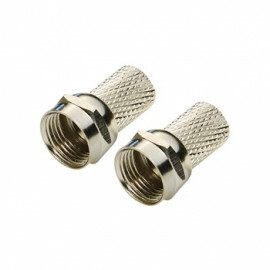 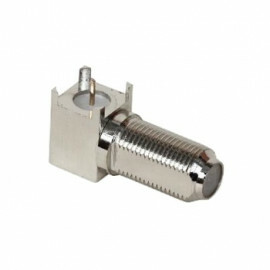 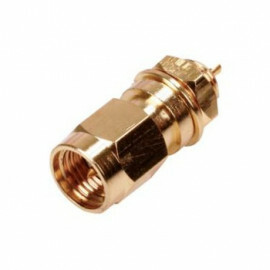 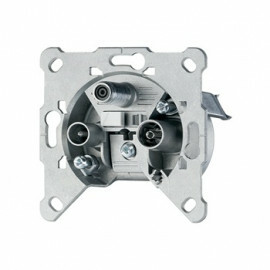 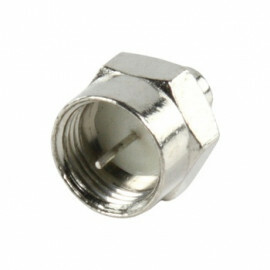 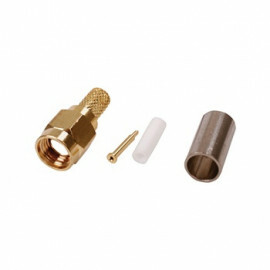 Supplied with a distance frame and cover plate.